Surely by now you’ve heard the question, “What are you going to be for Halloween?” at least once, if not many times! If you’re like most of us, you’ve procrastinated until just a few days before the holiday and are now frantically scouring the Internet for some easy and affordable costume ideas. Well, Smiles Dental is here to help, with an article that will give you some quick options for the whole family! For many years, children, teens and adults have been turning to a DIY costume to celebrate Halloween. Typically, it is cheaper and often more original than store-bought costumes. 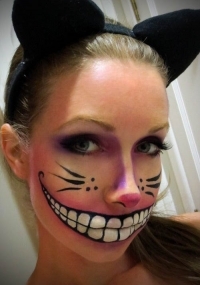 Even the makeup you have in your home can jump-start an amazing costume! The Heart Lipstick Trick First, the heart lipstick trick. This can go with many costumes, specifically Cupid or the Queen of Hearts! Supplies: lip liner pencil and red or pink lipstick 1. 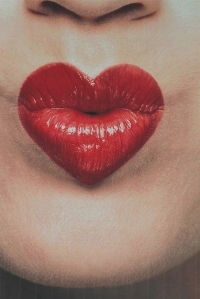 Outline your lips in the shape of a heart using your lip pencil, as shown here. 2. Then, fill in the shape with your lipstick, and you’ll have a perfect makeup look! To Make a Cartoon Mouth 1. Follow steps 1 and 2 above, opting for a less-defined heart shape and choosing a different lip color, as desired. Bold and bright colors work best for this look. 2. Next outline your lips with a black liner and accentuate all the lines in your lip, as shown in the photo. 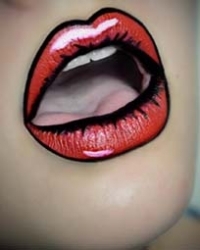 Be sure to outline the inside of your lips. 3. Finally add the white lines to create a shine effect. This could be the hardest part. Start small. You can always add more. Smile Big This look is versatile and can be used with many costumes. You can make it as scary or funny or realistic as you want. Supplies: black eyeliner, white face paint 1. Paint the smile in white across your mouth. You can make this big or small, and you can have some fun by changing the shape! 2. Now use your eyeliner to create the black outlines of your big smile. Be sure to draw in teeth and outline the overall shape for a more dramatic effect! 3. Have fun with this one. There are so many options for this look to make it just for you! 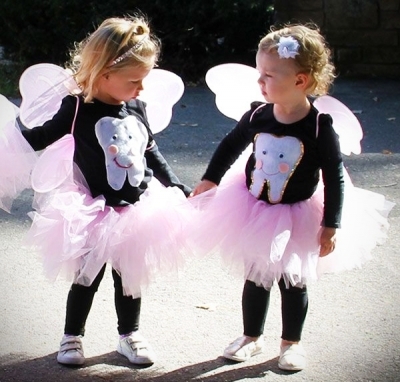 The Tooth Fairy Want to get your kids excited about dental hygiene during this Halloween season? We have just the costume for you to make, and it’s easy — we promise! Supplies: sparkly shoes; black leggings; a black, long-sleeve shirt; a wand and fairy wings; white and pink felt; googly eyes; fabric glue; safety pins (or fabric glue); a black pen; and a tutu. 1. Draw a tooth shape onto the white felt, keeping in mind the size. Depending on who this is for, you’ll want to make sure it fits onto the black, long-sleeve shirt. Then cut out that tooth shape. 2. Next cut two small pink felt circles for the “blushing cheeks” of the tooth. Glue those on to the tooth shape, and draw a smile between those cheeks. 3. Glue on the googly eyes; now your tooth should have a face! 4. Secure this to the black shirt, using your safety pins or a fabric glue. 5. Then you’ll want to add a tutu and wings — and of course — a magical wand. Whatever you and your family decide to be for Halloween this year, Smiles Dental wishes you a fun and safe holiday weekend!